TDA has pioneered a unique transition and learning approach since the early 1980s. It owes its early roots to the innovative blending of training and development expertise with outplacement, and the teaching of transition and change, with a particular specialism for the release of ‘enterprise behaviours’. Today the TDA family is organised as follows and captures all our client insights gathered over the last 30 years. TDA Transitions and Learning is the parent company and specialises in executive outplacement and transitions coaching. It has two divisions – Being the Best and Enterprising Futures. Being the Best is an innovative team empowerment programme and business improvement process. Enterprising Futures is a consulting, teaching, coaching and facilitation approach that is all about the release of enterprise behaviours. The Golden thread running through all three services is the understanding that behaviour impacts on everything we set out to achieve. This understanding illuminates all our advisory, facilitation and coaching work, whether in personal, team or organisational settings. 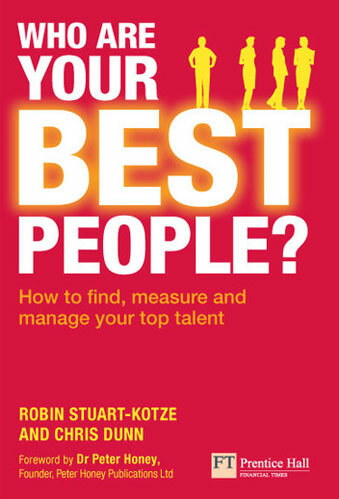 Chris now consults, coaches, facilitates and writes and has numerous published works to his credit, notably “Who Are Your Best People?” written with Professor Robin Stuart-Kotze and published in 2010. © Copyright 2018 - TDA Transitions & Learning Organisation Ltd. The TDA Transitions and Learning Organisation Limited. Content can only be reproduced with express permission from TDA. Website by Bucks Creative Ltd.